Chablis is located in the northernmost region of Burgundy, France. With a cool continental climate and soils consisting of limestone over marine fossil-rich Kimmeridgian clay, Chablis is home to chardonnay, and only chardonnay, making one-third of the total production of white wine in Burgundy. “Chablis is the real image of Burgundy,” Laroche said. There are 40 Premier Cru vineyards and seven Grand Cru vineyards in Chablis. From one vineyard to the next, the notion of terroir is expressed in each wine, which has its own style. Domaine Laroche is showcasing the terroirs of Chablis in their portfolio of wines. Michel Laroche, husband of Gwenaël, grew up in Chablis where his parents had six hectares in the 1960s. As a young adult, Michel created a negociant business in which he was buying and selling juice. With the money he made, he bought 40 hectares (100 acres) in 1990. Today, with 90 hectares (220 acres), Laroche has 30 hectares in Premier Cru vineyards and six hectares in Grand Cru vineyards. In fact, Laroche is the largest land owner of Grand Cru vineyards in Chablis. Domaine Laroche is focused on putting terroir first. Their approach in the vineyard is one of sustainability. There is no use of weed killers or pesticides. Even in a region that is prone to frost, there are no anti-botrytis treatments used. Using natural treatments only, the goal is to help the vine find balance as it ripens. I found the resulting wines to be delicate, elegant and delicious, with a perfect balance between minerality and fruit. At a recent tasting with Gwenaël Laroche, here is what I enjoyed. — Domaine Laroche Saint Martin 2015 – Of the 90 hectares owned by Laroche, 63 hectares are classified as Village. Saint Martin is made from grapes from the best plots from these vineyards. The wine is aged on its lees, resulting in a wine with notes of white fruit, stone fruit and flowers and soft acidity and minerality on the palate. 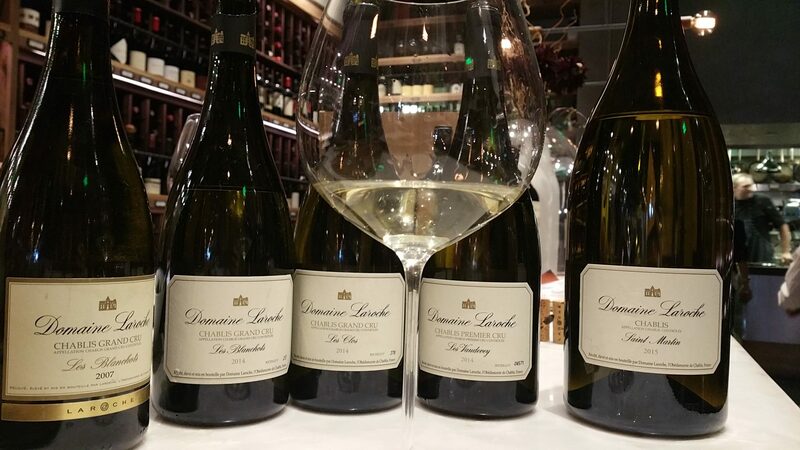 — Domaine Laroche Les Vaudevey 2014 – Owning almost 10 hectares out of 41 of this premier cru vineyard, Laroche is only one of three proprietors in Les Vaudevey. Planted 35 years ago, the steep slopes of the vineyard are planted with an eastern exposure, meaning there is no sun after four in the afternoon. The vineyard consists of rocky topsoil. The grapes are hand-picked and 15 percent is barrel fermented for nine months in neutral oak. The wine has notes of grapefruit, underripe peach and minerality and on the palate there is lively acidity and beautiful salinity. — Domaine Laroche Le Clos 2014 Grand Cru – Les Clos, which means “enclosure”, is named because it was a vineyard formerly surrounded by walls. Of the almost 26 hectare vineyard, there are only seven producers who make a wine from Le Clos. With one hectare, Domain Laroche is one of them. The grapes are hand-picked and 25 percent is barrel fermented, of which five percent is new oak, for nine months. The wine has notes of peach, nectarine, cold rocks, smoke and an intense minerality. On the palate it has high acidity with chalky notes. — Domaine Laroche Les Blanchots Grand Cru – With four-and-a-half hectares from this almost 12-hectare vineyard, Les Blanchots, an eastern exposure, the vineyard is protected from the late afternoon sun. The soil is white clay on Kimmeridgian limestone. The Les Blanchots 2014 Grand Cru has notes of peach, apricot, minerals, chalk and spices. The Les Blanchots 2007 Grand Cru is a golden color with notes of ripe apricot, white flowers, lemon, white pepper and nuttiness. The wines of Domaine Laroche demonstrate the beauty and elegance of wines that come from Chablis. If you are ever in doubt about chardonnay, try Domaine Laroche. 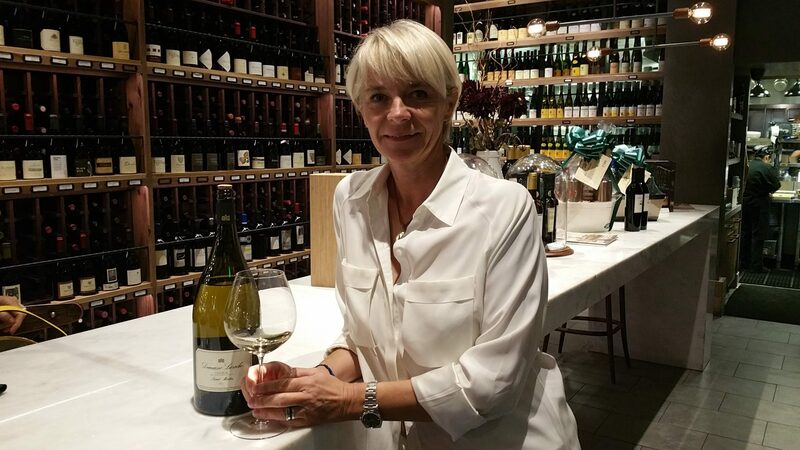 This entry was posted in Wine and tagged Burgundy, Chablis, Chardonnay, Domaine Laroche, Domaine Laroche Le Clos 2014 Grand Cru, Domaine Laroche Le Clos Grand Cru, Domaine Laroche Les Blanchots Grand Cru, Domaine Laroche Les Vaudevey, Domaine Laroche Saint Martin, France, Gwenaël Laroche, Michel Laroche, Napa Valley Register, Wine by Allison Levine.